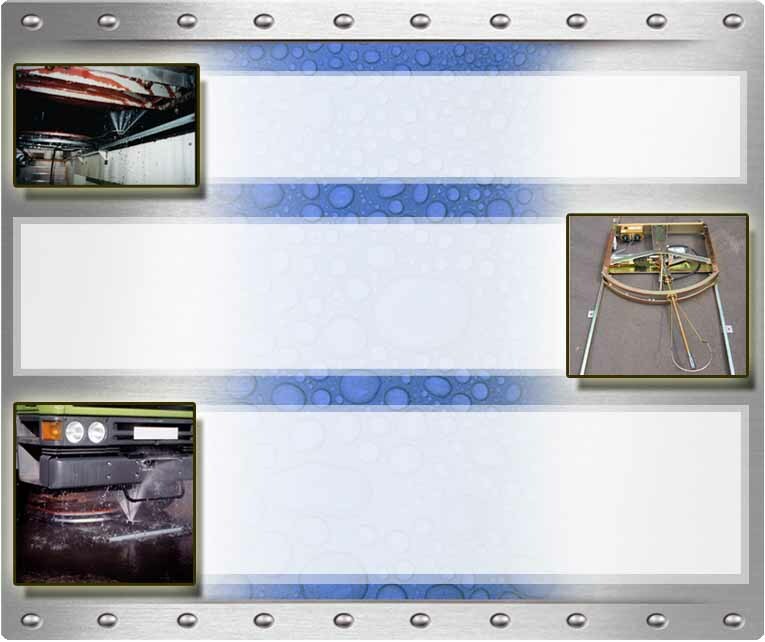 ChassiJet USA (818) 349-3926 - Automatic chassis cleaning systems for trucks, buses and trains. The Chassijet provides automatic "press button" cleaning of the underside of road vehicles, including buses, garbage trucks, etc. The programmable cleaning trolley travels on its own set of rails under the stationary vehicle. It cleans with high-pressure 2000 p.s.i. oscillating spray jets. Up to 40 programs can be entered into the PLC memory at the time of manufacture or during the installation process. Program additions and alterations can be made at any time via the operator keypad/display panel. The system can also be operated manually by selecting the required functions by push button. The programs can incorporate any combination of vehicle length, wash speed, dwell periods (concentrating on heavily soiled areas), water temperature, detergent injection, and foam application. These programs can be tailored to your vehicle's specific requirements. The complete cycle is carried out automatically with the trolley traveling under the length of the stationary vehicle while the oscillating/sweeping spray jets complete the cleaning process. Copyright ©2007 CHASSIJET USA, Inc. All rights reserved.